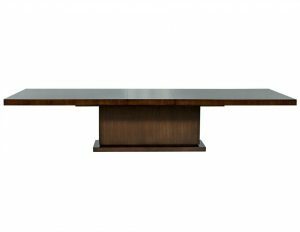 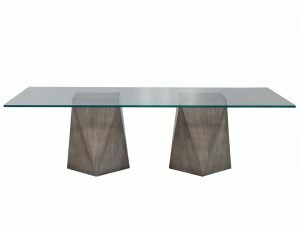 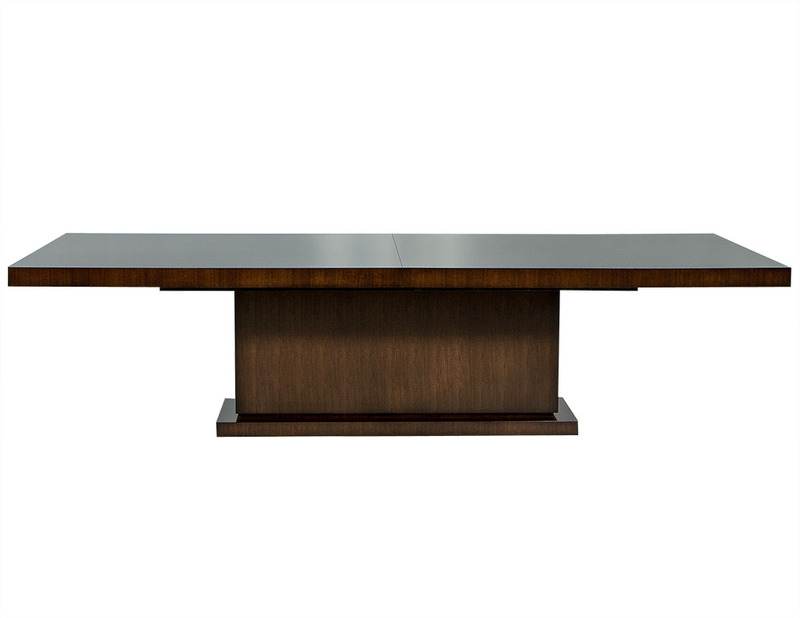 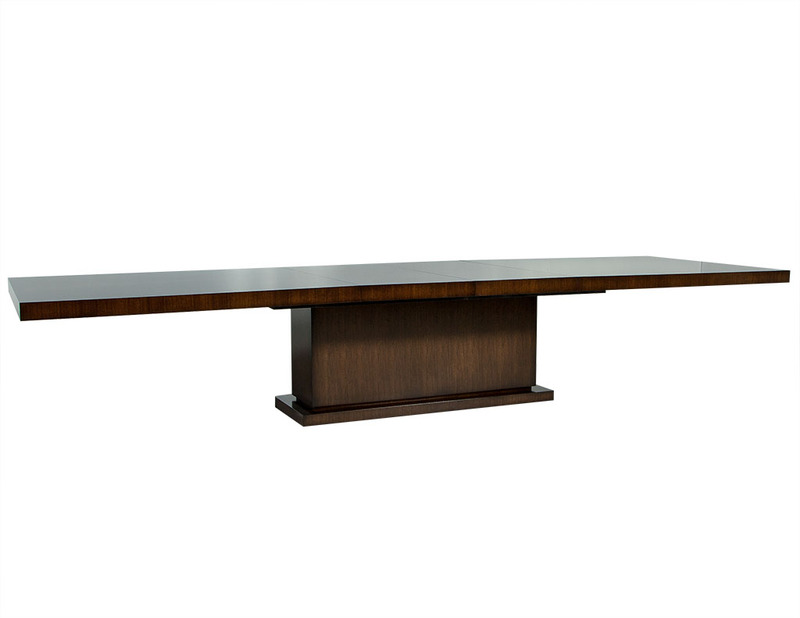 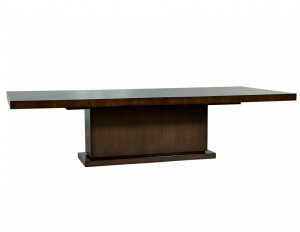 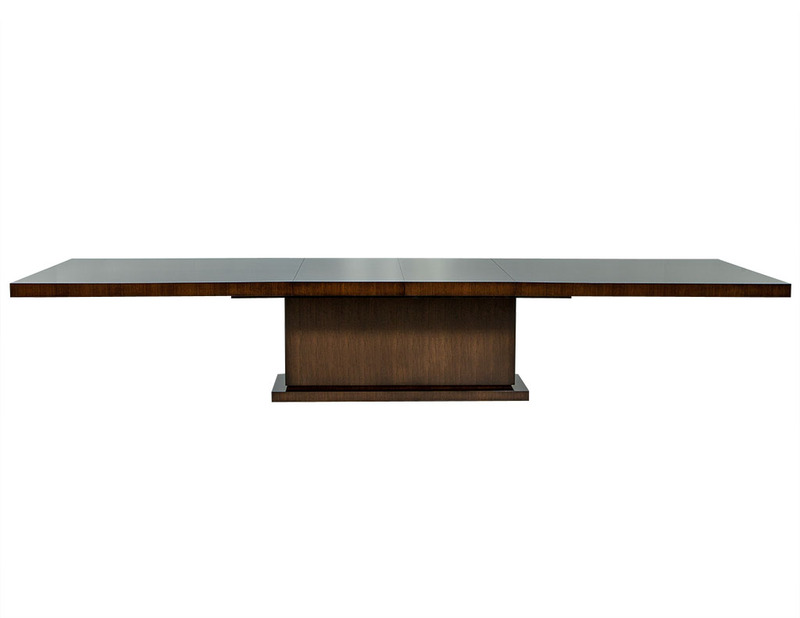 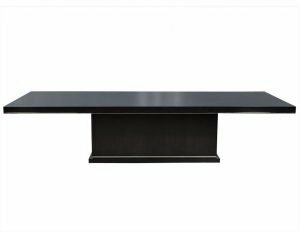 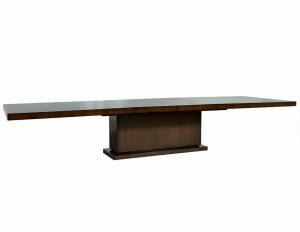 This modern art deco style dining table is made to order. 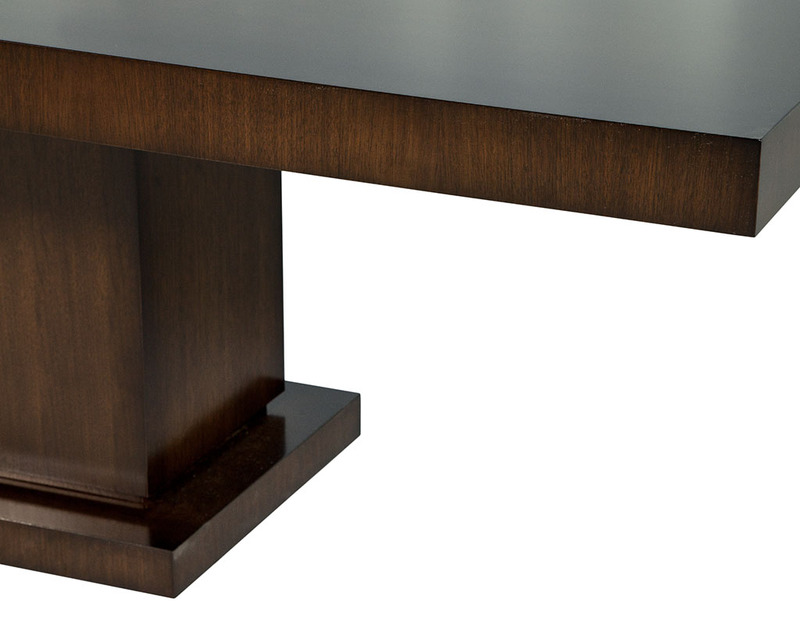 Composed of solid walnut, it contains two leaves and sits atop a pedestal base. 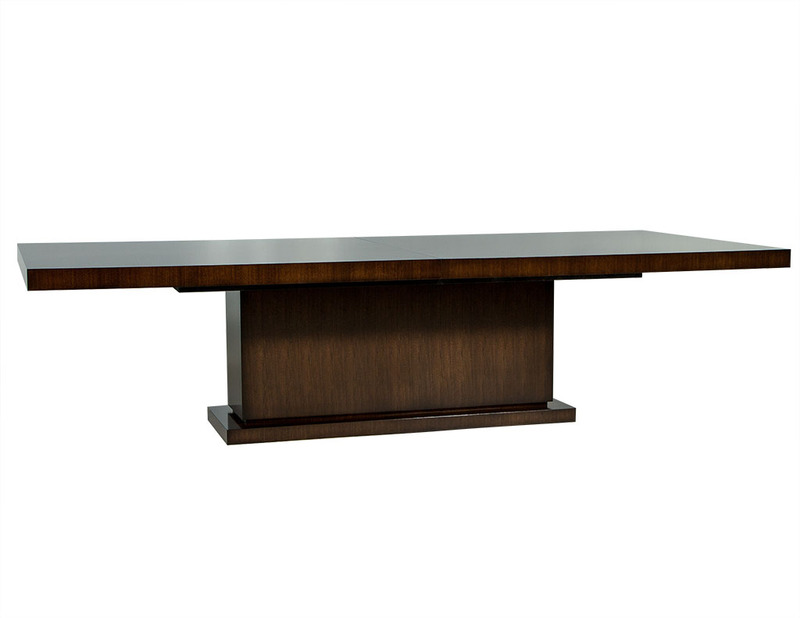 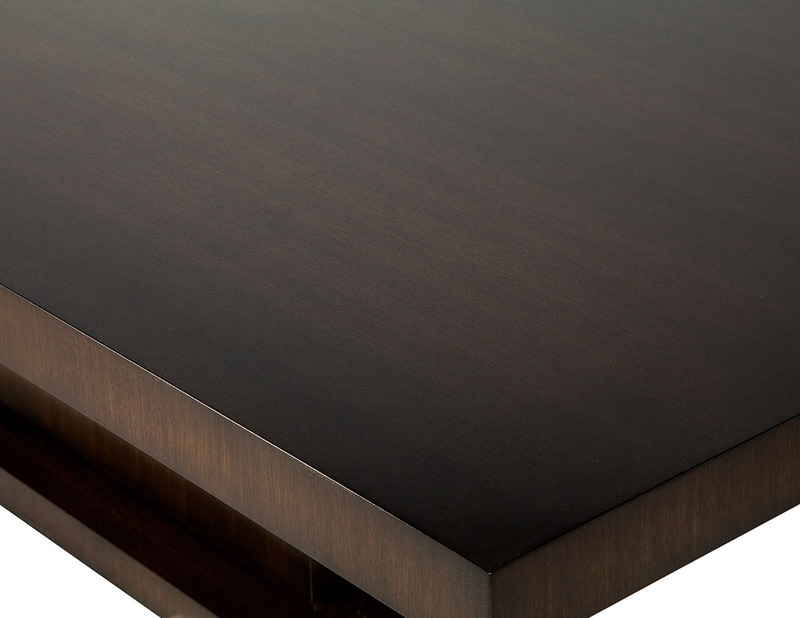 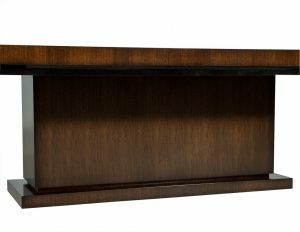 A neatly designed piece perfect for any dining room. 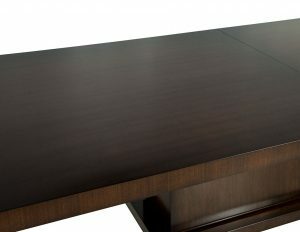 This is a custom, made to order table. 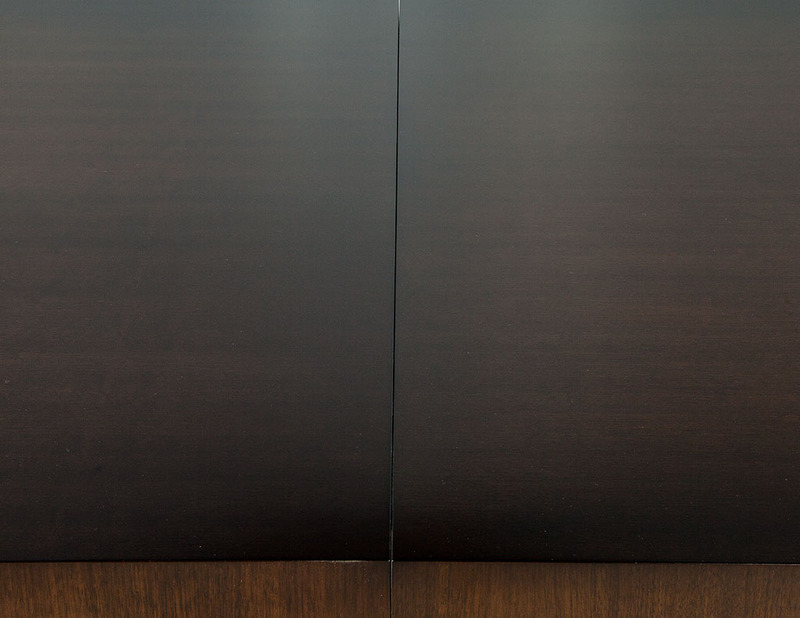 Lead times range from 8-12 weeks.